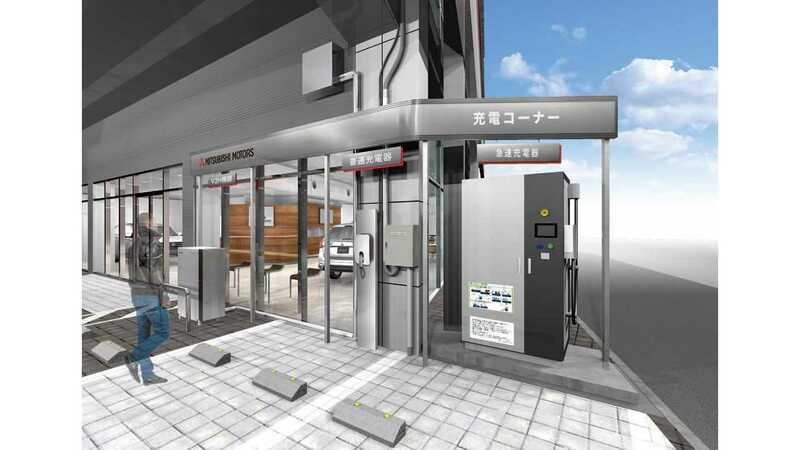 Mitsubishi dealerships in Japan are gradually installing DENDO Drive Stations that combine the CHAdeMO DC fast charger with Vehicle-to-Building (V2B) capability and solar. By 2020, the number of DENDO Drive Stations is to increase from 28 currently to 200. "Car showrooms in Japan are now providing more than just vehicles to the local community. 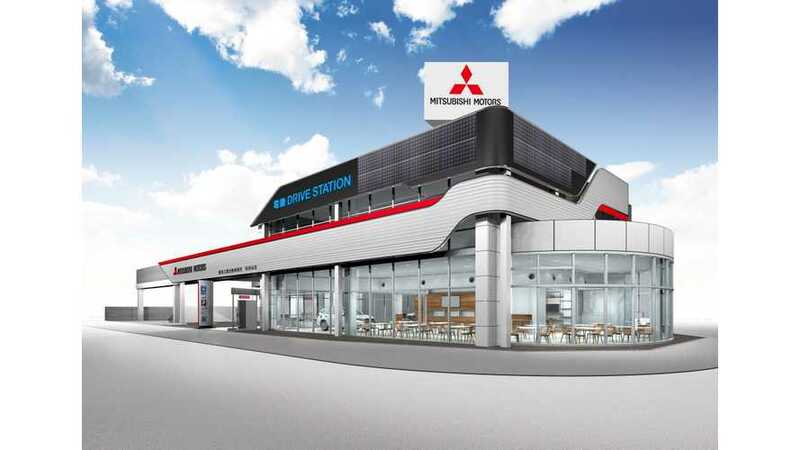 Mitsubishi Motors Corporation (MMC) is creating a network of dealerships which can offer cleaner electric vehicle charging, help stabilize the local electricity supply grid and even provide electricity after a natural disaster or power outage." In April, Mitsubishi unveiled its first "Hyper Energy Station", installed in Saitama City, which is equipped witha 12 kWh energy storage system. 12 kWh is not a lot, but it's just a pilot project. Because charging is more and more demanding for dealers that sell more and more plug-ins, we expect that energy storage at facilities will sooner or later become standard. "Saitama City has partially subsidized the cost of the facilities and the dealership has been designated a Next-generation Automobile & Smart Energy Special Zone by the Japanese government. The Omiya showroom, run by the Kanto Mitsubishi Motors Sales Group, is the fourth private facility and the first automobile dealer to adopt the system. Featuring lithium-ion batteries with a capacity of 12kWh, the building can supply power for recharging electric vehicles (EV) in the event of a natural disaster or power outage, when normal power supplies are cut off. EVs have played a key role in transporting people and good in previous emergencies in Japan, when conventional fuel supplies have been severely disrupted." "In addition to charging vehicles, V2B allows the EV's battery to provide power to the building in times of high demand or an emergency. The building will then switch to charging the car at times of low grid demand, or when renewable energy production is at a peak. This has major benefits for the grid and provides cheaper, sustainable power for the EV owner." "As our cars have evolved to become EVs and PHEVs, it was a natural progression for showrooms to become charging stations. Now, we can use batteries to store zero emission electricity from roof top solar panels and use it to manage energy demand at the dealership. As for the future, we would like it to become a vital part of the power grid, providing sustainability, stability and security to the transport and energy infrastructure even in times of emergency".